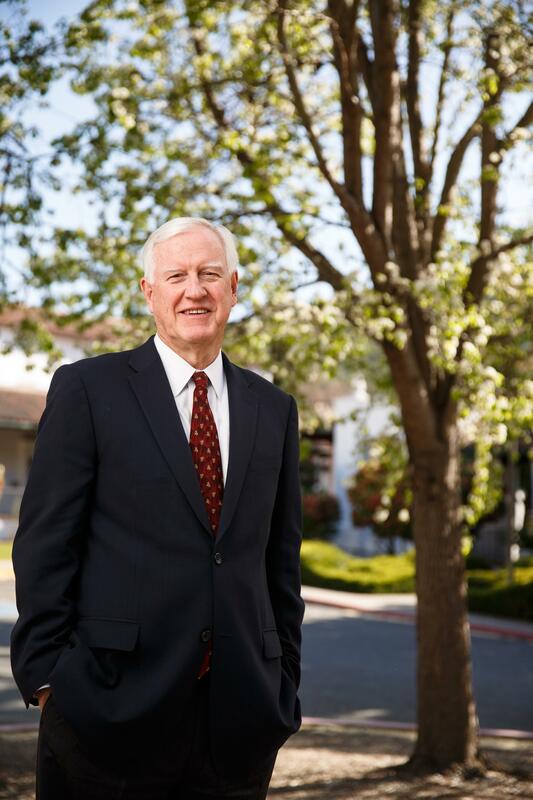 James A. Donahue became the 29th President of Saint Mary's College of California on July 1, 2013. He holds a B.A. degree from the College of the Holy Cross. He earned his Master of Divinity degree from Princeton Theological Seminary and a doctorate in religious and social ethics from the Graduate Theological Union (GTU). From 2000 to 2013, he was president of the GTU, a consortium of nine independent theological schools and Affiliate Centers, located in Berkeley, California. Prior to his presidency at the GTU, President Donahue served 15 years at Georgetown University in Washington, D.C., as professor of theology and ethics, dean of students and vice president for student affairs. He also held faculty and administrative positions at Boston College and Santa Clara University. President Donahue has been committed to the public role of ethics and theology throughout his career. He has served as an ethics consultant to various organizations, including the Levi Strauss Corporation, the Department of Defense and the Catholic Health Association. His primary research areas and teaching interests include professional ethics, religion in public life, and the issues of organizational and professional ethics. In addition to producing a multitude of articles, papers, presentations and speeches, he is the co-author of Ethics across the Curriculum: A Practice-Based Approach, and the co-editor of Religion, Ethics and the Common Good. He is also completing the manuscript for his third book, Organizational Character: Studies in the Ethics of Institutions. His nonprofessional interests range from jazz to political analysis to college basketball and professional baseball. He and his spouse, Jane Purinton, have two sons.